Over a decade has passed since everyone’s favorite, slobbery, mystery-solving dog was on the big screen—and even then Scooby-Doo was presented in an unfamiliar, live-action form. Warner Bros. has now announced he’s coming back to theaters in 2018 the way he should, in a feature-length animated film. Warner Bros. Pictures, under the Warner Animation Group, will release the new Scooby-Doo movie on September 21, 2018. Tony Cervone (who has directed multiple Scooby direct-to-DVD films) will helm the film, based on a screenplay by Matt Lieberman, who penned the new Short Circuit reboot, which may or not actually happen. If “take the lead” sounds like Warner Bros. is bringing even more Hanna-Barbera characters to the big screen too, that’s true. We know films based on Jonny Quest and The Jetsons are both in some stage of development and there’s probably more too. However, it sounds like Scooby will be out first. 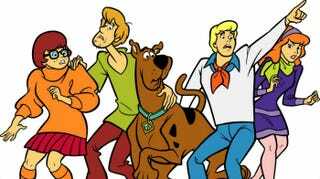 Since Scooby-Doo was a hit on the big screen with a live-action cast (featuring Matthew Lillard, Freddie Prinze Jr. and Sarah Michelle Gellar no less! ), it’s all but assured the character can do that in his purest, animated form. He and the Mystery Machine crew are some of the most recognizable characters in animation history. But, this isn’t the 1980s or even the early 2000s. This is 2018, so you can be almost sure the film will be computer animated. Will it have that classic Scooby look or something more updated, like the new Peanuts movie? Plus it’s a “new take on the franchise,” according to another WB exec, Veronika Kwan Vandenberg. What exactly that means, we don’t know, but from the company that made The Lego Movie it’ll surely be something a bit more than a simple murder mystery. We have plenty of time to peel the mask off this film though.